Bailey left Logan Point after she told Danny she couldn't marry him. Two years later finds her in Mexico and ready for a short trip home. She is supposed to accompany a little girl home for a visit to her grandparents. But someone is out to get either Bailey or maria, the little girl. Bailey has to decide quickly who she can trust with their lives as they flee back home to Logan Point. This was an incredibly fun book. The action and suspense were fast paced and kept me on my toes. The characters were well fleshed out and added to the plot. The story was, while part of a series, could be read alone. The book mentions characters from previous books, but there is enough descriptions that a new reader wouldn't be left out. I liked how the author brought in faith, but wove it into the story instead of presenting it in a preaching form. It was subtle, but impacting. There was a little bit of romance between a couple of the characters, but it wasn't the main part of the story. 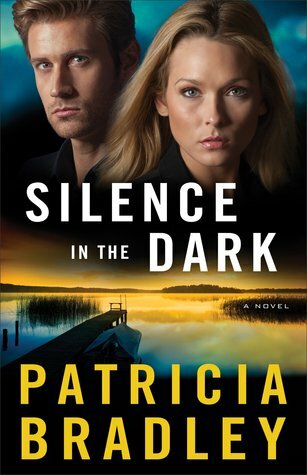 Overall, this was a great book if you enjoy suspense with a touch of romance. I look forward to the next book by this author. Faith grew up in a home where her father ruled with an iron fist in the name of God and her mom submitted, even when she didn't agree. Faith made a mistake and is now pregnant and kicked out of her home. Everyone that she thought would support her is on her dad's side. And the very unlikeliest people are now some of her best friends and help in trouble. If Faith can regain her trust in God and get rid of the troubling bent towards the past she can create a wonderful future for her and her new baby. The writing style is amazing. I began this book shortly after finishing the first one in the series and this one didn't disappoint. While this is the 2nd book in the series, I do think it could be read as a stand-alone. But I would highly recommend reading the other one first. The author did a great job of creating some drama and tension for the young mother, while also infusing faith, love, and forgiveness. I appreciated the fresh look at religion and how much faith plays a part in making it real. 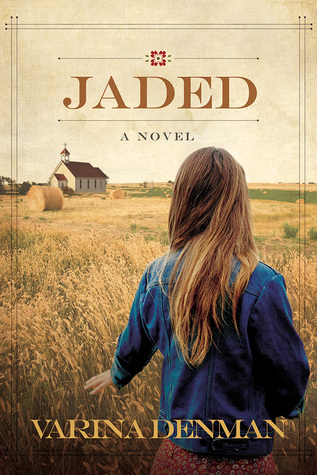 Overall, this is a great new author that has just come on to the Christian fiction scene and I highly recommend her books. Allegra's grandfather, the man who ultimately raised her, is dying. His dying wish is to have a jewel box that he sold in a moment of weakness. But the man who purchased it, bought it for his late wife as a gift and refuses to sell the box. Now the man is dead and Allegra has been tasked with retrieving the box from the son. But when confusion about her non-profit results in some arguments with Rahim, the son, Allegra resorts to stealing the box. What happens next is not quite what either of them expected. I had a hard time with this book. It felt like I'd jumped into the middle of the plot and missed some things. The premise of the book was good, it just could have had more information and more depth so that the story felt more like a stand-alone than a sequel to something I'd missed. There were so many places that more detail or more development could have been added to make it a richer story. I realize that the Presents books aren't always a deep story, but this could have been so much more. Overall, it was a nice story, but I feel like I missed something when reading it. I'm just not sure if the author caught my interest enough for me to read the other books that are a part of this story. 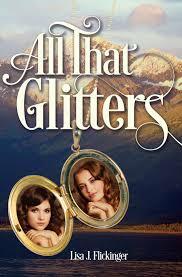 "All that Glitters was a beautifully written story that speaks of redemption and forgiveness." "The author draws you in and keeps you engaged to the last page." The world has gone plum crazy over gold. Men and women alikewould do almost anything to make their fortune. Leaving behind her family and adying father, Ginny Connor follows the cunning Logan Harris up North to strikeit rich. Twenty-year old Vivian Connor embarks on a cross-country chase torescue her sister Ginny and they are both led into the chaos of the KlondikeGold Rush. Meanwhile, Ben McCormack leaves his farm to retrieve hisintended bride from a rowdy, tent town on the Alaskan coastline. Ben’s pathinadvertently entwines with Vivian’s and he finds his heart tugging him in adifferent direction. Danger and disappointment plague all their journeys to thefar North. Will Vivian find her sister in time to return home to see theirfather? Can Ginny forgive herself for the decisions she's made? Will Benfind the lifelong love he searches for? When the world listens only to the callof gold, redemption and love become scarce treasures. I lovelistening to the Lord speak into my heart during worship. I havebeen a fan of Allison Pittman’s work for years. Even more amazing, TheChristian Communicator assigned my novel AllThat Glitters to her for editorial. Her encouragement and insight helped medevelop as a writer and take the leap toward publication. Are your books only for Christians or would otherpeople also enjoy them? My booksdefinitely embrace a Christian worldview; however, the settings and charactersare memorable enough for anyone who enjoys a good read. Ruthie was only a little girl when their church rejected her family. Now she and her mother do not attend church and hate all Christians. Not a good recipe when Ruthie finds herself falling in love with the new guy in town, Dodd. Because Dodd is the new minister. Ruthie, Dodd, and the rest of the community will all learn about secrets, forgiveness, and Christian love as they navigate the uncharted waters of small town gossip and fear. This book was a wonderful shock to me. It was written in a style I don't normally go for, had the feel of a YA novel, and could have bent towards depressing. And yet somehow this author blew me away. The writing style was captivating, the characters were raw, authentic, and engaging. The secondary characters were just as gripping as the main ones. The story was emotion and character driven, yet there was some drama woven in as well. The author did a great job of describing the scenes so that I felt pulled into the story. Some of the more negative emotions that could have made the story dark were handled well and left me feeling thankful or thoughtful instead of depressed. I sped through this book and promptly reached for the 2nd one because it was such an enjoyable read. It wasn't fast because it was fluff, it was fast because I become immersed and read it all at once. Overall, I would highly recommend this book to anyone who enjoys Christian fiction, small town romance, thought provoking stories. I received this book this book in the mail the other day with a note that it was a gift. But it didn't say who the gift was from. Still trying to figure that out. But I wanted to review it since I've been enjoying it so much. The beautiful turquoise leather cover is etched with the title and a floral design. It has a ribbon book marker. The book begins with an introduction from the author and then moves into the devotionals for the month of January. Each month has a scripture verse that the devotionals seem to follow. Each day has a short thought and then two or three verses to look up. I've only read a few of the devotionals since I just received the book. But each of them are thought provoking and inspiring. I think the first word that comes to mind when thinking of this book is comforting. 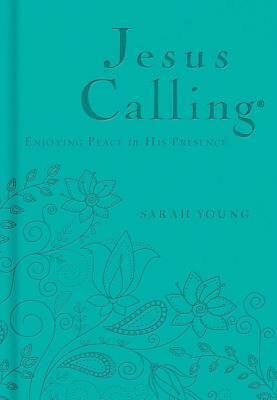 I adore the cover and would have probably liked the book based on that alone, but the devotionals are right on target and fit well with my crazy, busy life. This would make an excellent gift, but I highly recommend getting one for yourself as well. So a huge thank you to the person who gave me this wonderful book. The Midsummer Ball is well known among the ton as the place to go for a match. The hosts have carefully chosen their guests for the intent of matching them up with another guest. But sometimes plans don't go as they should. And the hosts and guests will learn that sometimes the heart will change a course of action no matter what anyone tells it. These two stories were fun, romantic, and well written. The two authors worked well together to create two stories that fit seamlessly together. Each author told a story about two guests at the ball. So while the stories were happening at the same time, the reader got a glimpse into the main events from different perspectives. I enjoyed the plots and the setting of a week long ball. 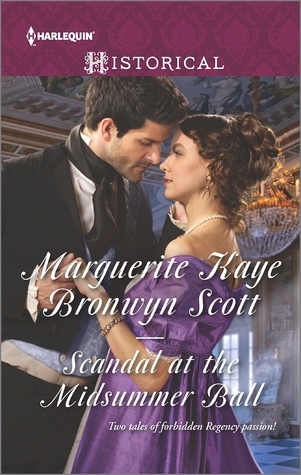 Both stories were romantic and fit well in the regency genre that I enjoy. Jacob is on his way to his new job when he hears cattle stampeding. At that moment he sees a little girl directly in their path. After he rescues her, he learns that she is his little half sister. Jacob vows to protect Daisy at all costs. 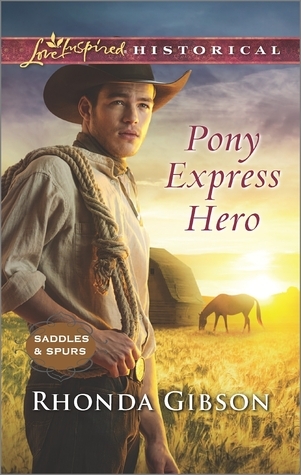 As he learns the ropes of his job for the Pony Express he also learns more about his late mother, his little sister and her family. But Jacob's distrust of women might be a stumbling block in his journey towards independence. This was a sweet story with a little bit of drama thrown in. It was a continuation of the previous book, but would work well as a stand-alone. The author does a great job of creating tension with some of the characters and sparks between the couple. The imagery transports the reader into the past and out west. There were a couple of different lead ins that I could see becoming the next book in the series. Overall, this was a fun little book that I enjoyed and I look forward to reading the next book by this author. Little Chester Racoon is afraid to go to school. He wants to stay home with his mom and play with his toys. His mother explains that school will be fun and have new toys. But Chester is still apprehensive. So his mother gives him a special kiss so he'll have a kissing hand to take to school and use if he gets scared or lonely. The illustrations are a very large part of the story. They are very well done and incorporate well with the text. The words flow smoothly and really paint a beautiful word picture of a mother's love. I think I enjoyed this as much as my daughter did. When we finished I asked for her thoughts. She said she loved it and to make sure I gave it 5 stars. I reviewed this on my iPad, but am going to purchase a paper copy so that my daughter can look at it whenever she wants. Overall, this was a precious book that I highly recommend every parent getting for their children. 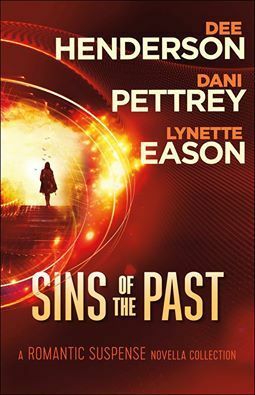 Three well known authors have written suspense novellas to make this wonderful book. Each story is tied together solely by the title. Each author brings her own authentic writing style and creates a story that will keep you on the edge of your seat, infuse you with faith, and give you a small taste of their excellent writing skills. Intrigue, suspense, drama, faith, and a touch of romance are all combined to keep you on the edge of your seat. Two of these authors were already favorites, so I was excited to read this book. But now I've added another favorite to my list. They were all outstanding. I loved how they incorporated faith into a difficult or dangerous situation. Each story had a touch of romance, but the main theme was suspense. The characters were well fleshed out, the plots were perfectly suspenseful, and the faith was not overwhelming. Overall, I loved this book and would highly recommend it. Nine different ladies with different vocations and locations all have to face adversity or trails to get to the love that God has intended for them. Set during different times in history, each woman overcomes with a valiant heart to find the man of her dreams. 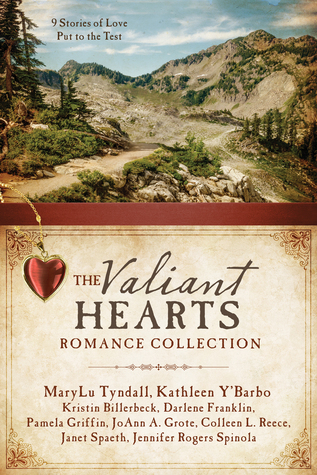 Each of these stories were tied together with the themes of faith, romance, and valiant hearts. I enjoyed some more than others, but each one was a pleasure to read. The short novella style stories made it easy to read quickly and be able to read the story in intervals while waiting for appointments or when I only had a few moments to share. Each story showcased the writer's talent and introduced some new authors to me. Overall, it was a great collection of novellas that I would recommend to anyone who enjoys short Christian romance stories. Martha is a midwife in a small town called Trinity. She's being pulled into so many directions. 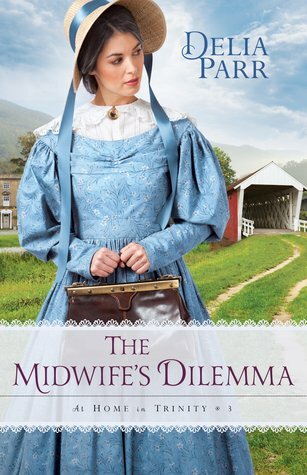 Her daughter is getting older and has no interest in taking over her midwifery practice, so Martha must find someone who can take over for her. Because Martha wants to marry Thomas. He's proposed, but Martha doesn't feel comfortable leaving her mothers without anyone to take her place. A woman hating horse, a wild little boy, an unexpected romance, and new friends are just a few of the things Martha encounters as she tries to transition through the changes. I hadn't previously read anything by this author. So it was nice to get a chance to try out one of her books. Even though this is book 3 I felt like it worked well as a stand-alone. There were a few things that hinted there might be more to the story, but it didn't detract from the current book. It just made me want to go back and read the first two. The characters were fun and distinguishable. The plot was character driven, but the author did a great job of creating a little drama that helped tell the story. The messages of faith, patience, and love were woven expertly throughout the story, giving it depth and richness. The author did a great job of dealing with the emotions of the characters and making them authentic and relevant. Overall, I really enjoyed this story and can't wait to read more by this author. Katie has finally gotten that long hoped for proposal. Now she's ready to plan her wedding. Actually she's had it planned for years, except she always pictured a different groom. But no worries, she's ready to tackle this wedding thing and move towards the wonderful day when she can call Brady her husband. And then the well meaning friends and family descend with every suggestion in the book on when, where, and how her wedding needs to go. Katie would completely take Brady up on his suggestion to elope if she didn't know she'd be murdered by her family for even thinking about it. So she must learn to lean on God and find a way to make this crazy thing called a wedding work. 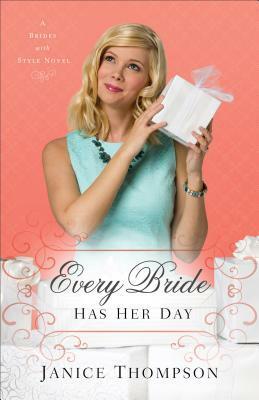 Thompson writes romantic comedy with a splash of faith. 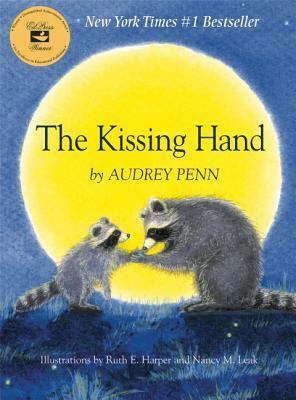 The characters are sweet and endearing, but also a little quirky. This is the third book in the series and I really don't think it would work as a stand-alone. You really need the background story on everyone to be able to understand the wheres and whys of the plot. But if you enjoy amusing stories, romantic men, and small-town gossip, it will be worth the time to read the first two books. 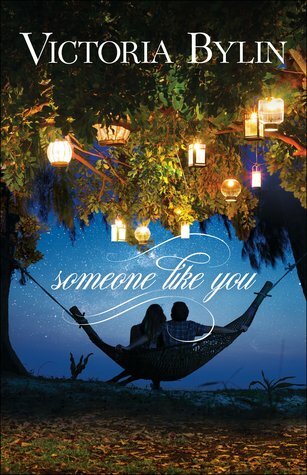 I would recommend this book to anyone who enjoys clean romance, great characters, and humor. Deputy Michael is driving the bus for a bunch of elderly ladies when he spots a man about to jump off a bridge. When he saves the man, the man whisper to Michael that he'll be sorry that he saved him. Bodies begin to pile up and all evidence points to either the jumper or Michael. Michael is then in a rush to clear his name. This book is the second in the series, but I believe would work as a stand-alone. Although I would highly recommend getting to know the characters in book one first. 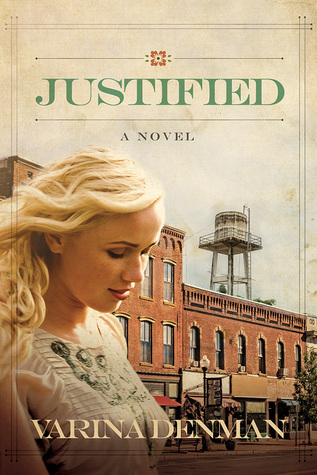 The author does an outstanding job of pulling the small town feel into the story and bringing it alive. The characters are authentic and entertaining. There are several secondary characters that I would love to get to know in real life. The clues are not easily solved, which was a plus for me. 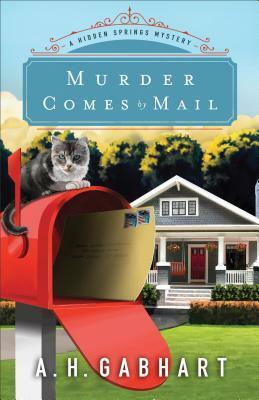 The story has a element of faith, lots of fun loving characters, and a nice cozy murder mystery which combined made for a very pleasurable experience. I would recommend this book if you love Christian fiction, murder mysteries, or small town novels. I received this book free of charge from The Suspense Zone in exchange for my honest review. 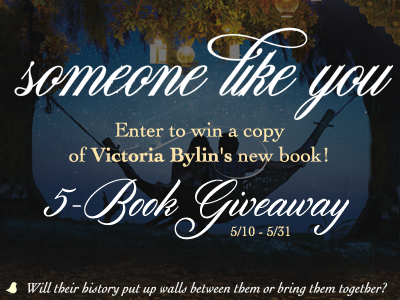 Click on the image to take you to the giveaway or see the post below to read my review. Julia made some serious mistakes in her past. But one of those resulted in her son Max, whom she's blessed to have. Zeke and Julia dated years ago when Zeke was a Christian and Julia was not. Their differences broke them up. Now Julia is at the resort that Zeke is trying to save and both of them are learning how the past few years have changed them. They can still work well together to solve problems and they find their personal relationship is good as well. This was such a sweet story. The characters really stood out for me. While there was some plot involved with the potential closing of the resort and the various people, it felt mainly character driven. The author did a great job of making them fun, lovable, or narcissistic as needed. The added element of a certain animal (I won't spoil the fun) was hilarious. The subject of faith was very prominent, but was incredibly tasteful and fit perfectly with the plot. The romance was sweet, but not syrupy. It had realistic elements that made it authentic. This is the type of book that you finish and wish there were more chapters or another book. 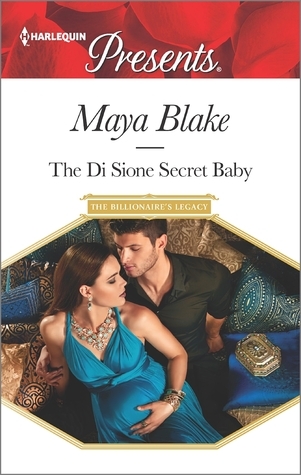 Overall, I would definitely recommend this book to anyone who enjoys clean romances with a hint of drama. Writers and Illustrators often get stuck. The ideas aren't flowing and they can't seem to get things started again. The author has taken a concept that works well for him and created a book with it. The book begins with a brief description of how and why the author wrote the book. It then moves on the the instructions and ideas for how to make the lists work. Next are several sample lists that the author did both the writing and the illustrations to give the viewer/reader a better idea of what the lists can do. Then are several blank lists the reader can use to spark creativity. The end of the book has a second designed to get the writer/illustrator moving into the next steps after they've written their lists. I loved the concept behind this. The lists are creative and inventive. I've used several of them and enjoyed the process. The illustrations are fun and often whimsical depending on the idea the author was tossing around. The colors, while slightly muted, are colorful and fun. 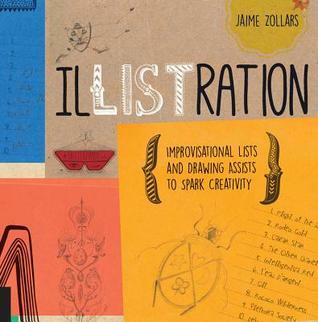 I would highly recommend this to anyone who works or dabbles in illustration and writing. This book would definitely spark some new ideas. Ultimately relationships need Godly love to survive. 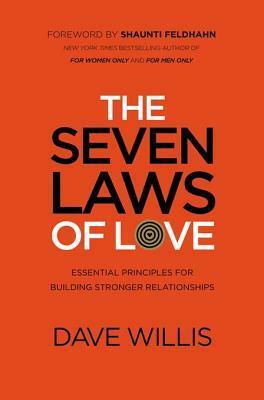 If we put these seven laws or principles into practice we will notice a difference in our relationships with others. Dave, the author, has shared personal experiences and antidotes to show how these principles, when put into practice can make us better people and better at relationships. The book was well written, had many humorous antidotes, was right on target for the concept being presented, and was an easy read. I enjoyed reading the book and identified with several things that I have used in my relationships. The stories were amusing, the discussion questions at the end were great, and I liked the overall concept of the book. However, I didn't really connect or feel like I learned anything new. I think this would be a great book for someone that is struggling in the relationships area, newly married, etc. But it just didn't do anything for me. But don't let that deter you. It really is a well written, great book. It just didn't resonate with me. 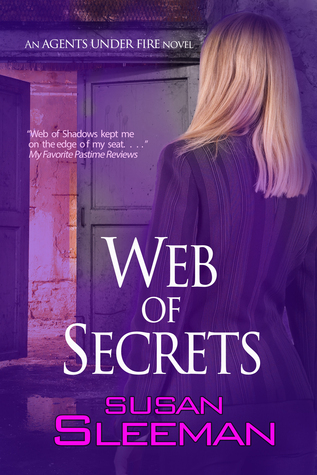 FBI agent Becca is buried in a credit card investigation when she hears a name that sends chills down her spine. She's been hunting and investigating a man who goes by the name of van Gogh for years. It's been strictly off the books, during her free time. But now that he's killing again, she's being pulled in as a resource due to her intimate knowledge. What Conner, the lead Detective, doesn't realize is that Becca has a personal connection. Now van Gogh is after Becca and Conner must race to discover his identity before he adds another victim to his list. As usual, this was a fast paced, high suspense drama that kept me on the edge of my seat the entire book. I loved how the author was able to throw in the sweetness of romance and the calmness of faith during such an intense plot of murder and stalking. She really brings the characters to life and makes them lovable, entertaining, or creepy as the need arises. While this book is in a series, I think it could be read as a stand-alone. I would highly recommend reading the other books first though. They are well worth it. Overall, this is a wonderfully dramatic story that will leave you wanting more. 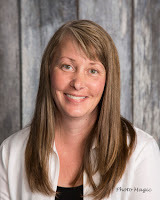 Susan is the bestselling author of Christian/inspirational and clean reads romantic suspense and mysteries. She grew up in a small Wisconsin town where she spent her summers reading Nancy Drew and developing a love of mystery and suspense books. Today, Susan channels this enthusiasm into writing romantic suspense and mystery novels and hosting the popular internet website TheSuspenseZone.com.